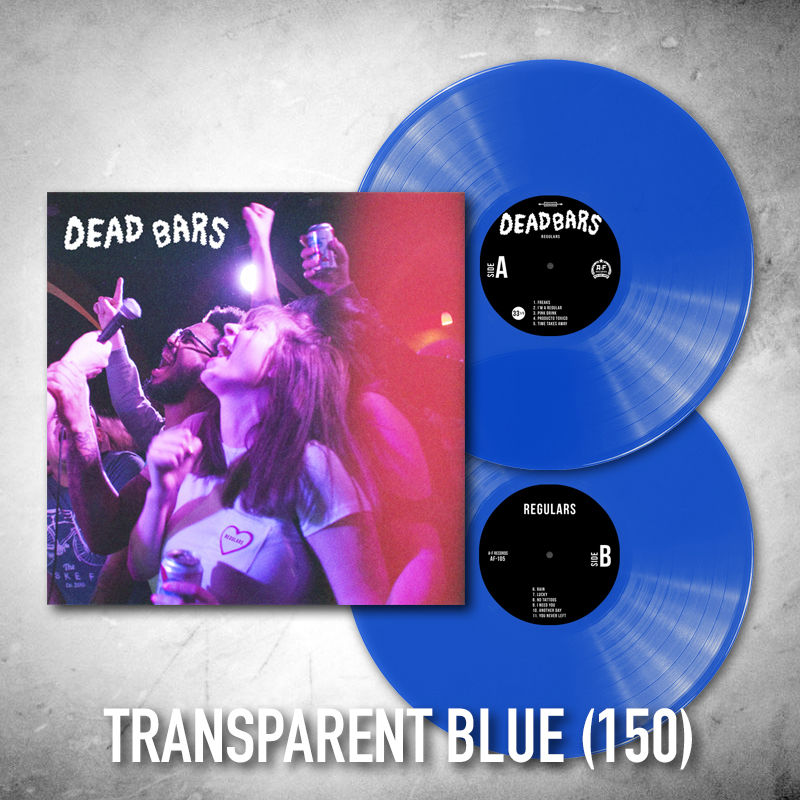 Very excited to announce we'll be releasing Dead Bars new record "Regulars" here in the UK. 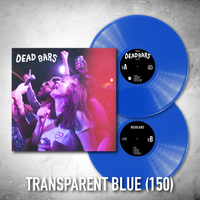 It's going to be a very limited pressing of 150 on translucent blue and we are getting just 50 of these. Due to the small quantity and higher production & shipping costs they are a little more pricey than most of our releases but as always I've kept the price as low as feasibly possible. “I like this idea of being a regular. There are moments of highs and lows; loneliness and community, sadness and celebration. That's what it’s like to be in a band. That's what it’s like to be in Dead Bars." says vocalist/founder John Maiello. "Regulars" is 11 songs of heartfelt and passionate punk rock, which will appeal to anyone who has ever struggled to find their place in the world. ‘Lucky’ and ‘Another Day’ are pure garage-tinged pop-punk ragers that are built for sweaty bar-room call-and-responses, while ‘You Never Left’ and ‘Rain’ show the group’s ability to mix the hopelessness and hopeful. ‘Freaks’, meanwhile, is a rallying call for the misunderstood, while ‘Producto Toxico’ – a song about going to an exotic place and doing the same thing you do at home – carries a relatable world-weariness. LP purchase includes instant digital download! Digital download will be emailed to you on release date! As soon as we get an estimated shipping date from the pressing plant I'll put the pre-order up. I expect that will be mid April.